Firstly, our Clinical Expert will conduct a personal interview and thorough physical examination. Therapeutic measures prepare you for your artificial limb. This is where you learn which artificial limb is most suitable and what your personal aims are. The prosthetist takes your individual residual limb measurements. Your customised artificial limb is made. The prosthetist adapts the artificial limb to your individual needs. Here you learn how to correctly use the artificial limb in everyday life. Together with the rehabilitation team you discuss how well you are coping with the artificial limb. The Ottobock Clinic remains in contact with you. The following pages offer information on what to expect before and after your amputation surgery. The main aim of your entire treatment – from the initial consultation to the fitting of your final artificial limb – is to restore your mobility. 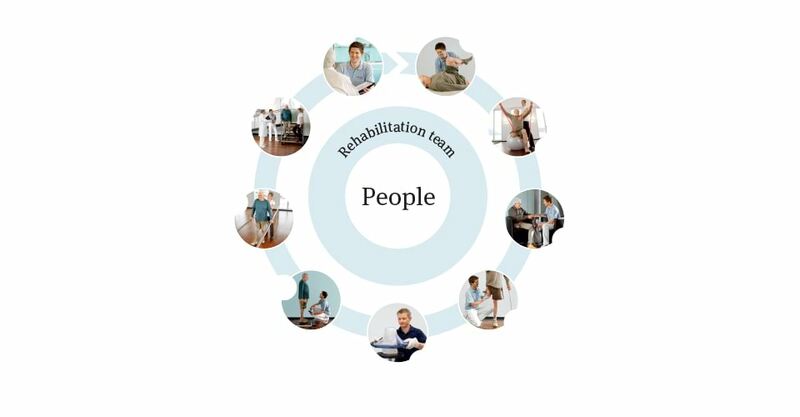 Your rehabilitation team, which includes your doctors, therapists, prosthetists, as well as you and your family, – will work together to help you achieve the highest degree of independence possible, so that you can once again lead an active and mobile life. On average, this takes a couple of months, although it's dependent on various factors, including your level of motivation and your active participation in the fitting process. Here we've outlined some recommendations for your therapy and rehabilitation. However, the advice given by your rehabilitation team should always take priority, since these people are in best position to evaluate your individual situation.